Paris-Geneva, November 27, 2013. The detention of Mr. Nabeel Rajab, President of the Bahrain Centre for Human Rights (BCHR) and Deputy Secretary General of FIDH, was characterised as arbitrary by the United Nations (UN) Working Group on Arbitrary Detention (WGAD) at its 66th session. 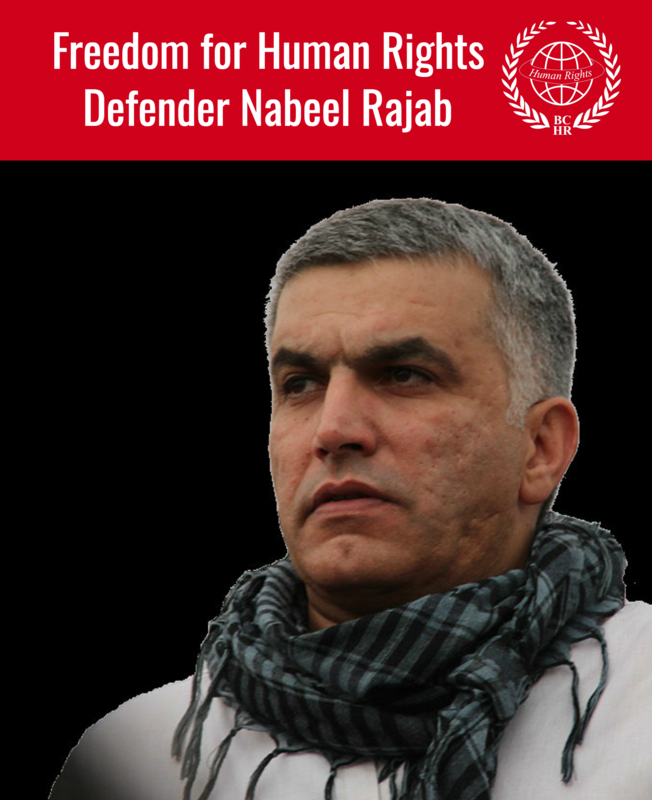 This decision, published on July 25, 2013, was eventually passed on to the Observatory for the Protection of Human Rights Defenders (FIDH-OMCT joint programme) on November 26, who welcomes this decision and calls upon the Bahraini government to immediately comply with this UN decision and release Mr. Rajab. In its Opinion A/HRC/WGAD/2013/12, the WGAD considered that the detention of Mr. Nabeel Rajab contravenes “articles 19, 20 and 21 of the Universal Declaration on Human Rights and articles 9, paragraph 1, 14, 21 and 22 of the International Covenant on Civil and Political Rights”. The WGAD requested the “Kingdom of Bahrain to take necessary steps to remedy the situation of Mr. Rajab and emphasised that “the adequate remedy would be to immediately release Mr. Rajab and to accord him an enforceable right to compensation in accordance with article 9, paragraph 5, of the [ICCPR]”. This decision follows a communication which had been addressed by the Observatory to the WGAD on August 31, 2012 to challenge the legality of Mr. Rajab’s detention. “ The decision of the WGAD is a landmark victory as it recognises that the detention of Nabeel Rajab is arbitrary under international law, as it results from his exercise of the right to freedom of opinion and expression, as defined in universal and international human rights instruments ” said today Karim Lahidji, President of the International Federation for Human Rights. In its decision, the WGAD highlighted that “from the Government’s response, it is clear that Mr. Rajab was detained and convicted under existing domestic laws of Bahrain, which seem to deny persons the basic right to freedom of opinion, expression and assembly, either individually or in association with others”. “ The decision of the WGAD stands for a continuous pattern of arbitrary detentions of those who defend the rights of others or exercise their freedom of expression, including bloggers or twitter activists. 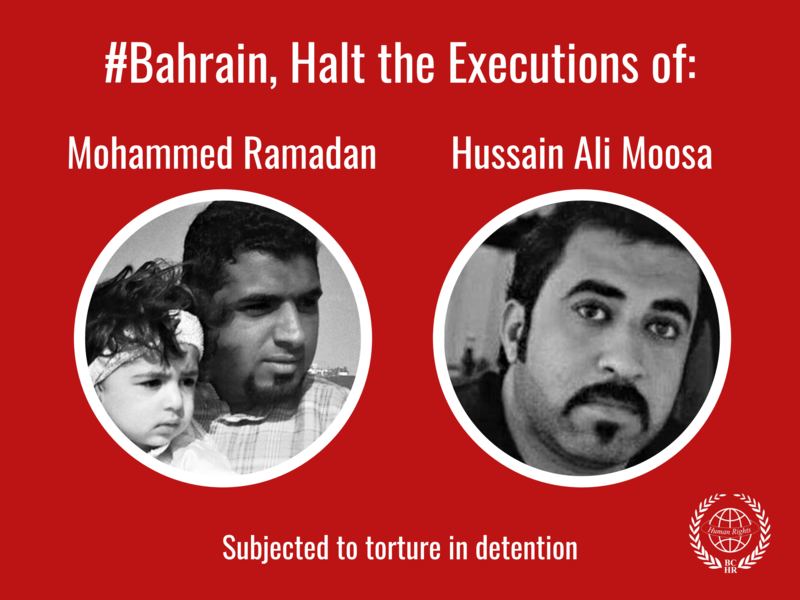 The case of Naji Fateel, from the Bahrain Youth Society for Human Rights, is but one of those ‘other’ cases ”, said Gerald Staberock, Secretary General of the World Organisation Against Torture (OMCT), commenting on the decision. “ The message of today must be to end the silencing of dissent through detention and prosecution. It is time to stop repeating the same mistakes: arbitrary detention, unfair trials and impunity for ill-treatment can but exacerbate tensions, resentment and possible conflict ”. The WGAD underlined that “the right to a fair trial includes access to counsel, production of evidence and defence witnesses. Since Mr. Rajab’s arrest on 5 May 2012, a number of court hearings have taken place where these rights have been partially respected”. Denial of timely facilitation for foreign witnesses to attend the hearing as well as showing video evidence in camera were cited as violations of such right. The Group added that the courts of Bahrain would have to “confront and rule on the matter of the legality of the law banning public demonstrations”, and that “denial of a universally accepted human right to freedom of opinion and expression cannot be condoned by a domestic court, as seen in the case of Mr. Rajab”. The WGAD eventually found Mr. Rajab’s detention was arbitrary as it resulted from the exercise of his universally recognised human rights and as his right to a fair trial had not been guaranteed, his detention therefore being arbitrary under categories II and III as defined by the Group.